You may want to create and edit your images on Mac but don't want to pay for any money. Actually, there are many free Mac photo editors provided but find some really good ones can be hard. Here we list the top 5 free photo editing software for Mac for your reference and hope you can enjoy Mac photo editing with them. Make a comparison and choose the one you like according to your photo editing needs. You may have known how to use the intuitive photo editing tool Photos built in on MacOS to edit photos on Mac like a pro. Use Photos app, you can adjust the light, color, sharpness, add filters or crop and remove unwanted part. Besides, you can also use the Auto button to adjust in details. But with the third-party software, you can enhance your photos on Mac further. Thus, we recommend you to try the following free photo editors on Mac. 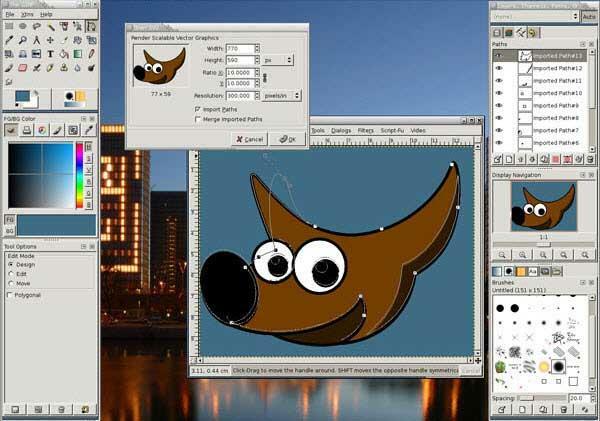 GIMP is a popular open-source image editor for Mac OS X and is often considered as the "free Photoshop" because of its similar interface and features with Photoshop. It is a beta software developed by volunteers, so software updates and stability may be a problem. But many users reflect that the software comes with no big problems and they enjoy using it. Please note that GIMP is compatible with Mac OS X or later. 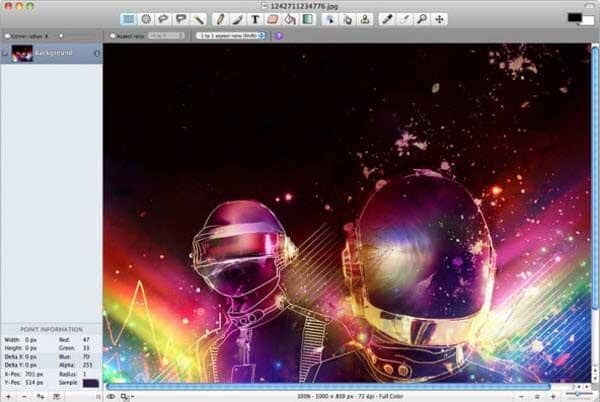 Seashore is an open source photo editor for Cocoa and is based around GIMP's technology. 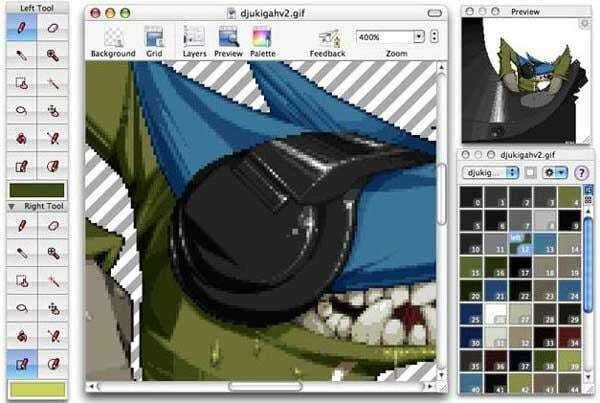 It uses the same file format as GIMP, but was developed as a Mac OS X application. The developer said it features gradients, textures and anti-aliase text and brush strokes. Besides, it supports multiple layers and alpha channel editing. Chocoflop is another great free photo editor for Mac. It is free but is still under development. The great features of this free Mac photo editor is that it can non-destructive, rich text, core image filters, raw support, etc. while edit photos. For people who seldom do photo editing, it may be hard to use. And it's a pity that it now doesn't support Snow Leopard. 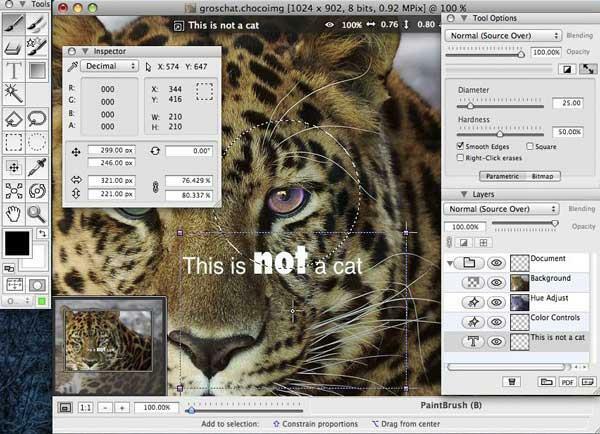 Pixen is a free graphics editor for Mac OS X and is very good for animation and pixel based editing. Its features include layers capability, title view, animation features, etc. 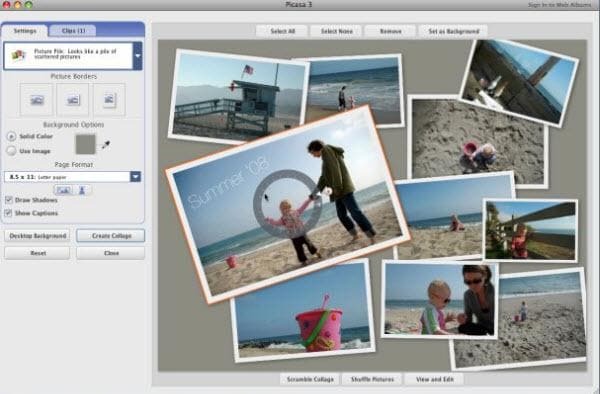 Picasa serves as a perfect photo editor, photo viewer, photo manager and photo sharing tool on Mac. It enables you to eliminate scratches & blemishes, fix red-eye, crop and more, turn photos into movies, collages, slideshows and more. After that, you can upload your retouched photos to Picasa Web Albums to share them with family and friends. By the way, if you have so many photos, you can make photo slideshow with the photo slideshow software and burn the slideshow to DVD for long-term preservation. Use the movie styles to turn your photos to Hollywood like movies instantly! Or you can make a digital scrapbook with the scrapbook software to make a memory book. It is said that by 2020 80% of Internet traffic will be generated by video content, so it is time to start learning how to turn your memorable photos into video with some cool effects. Here, we recommend you to try Wondershare Filmora9 which is easy-to-use yet powerful enough to make stunning even Hollywood style video with fun. You will enjoy making videos with Filmora9, just download the free trial version below and give it a shot.